It's been great having the time to write reviews again on this little break from my college courses. But I don't want my blog to hibernate again when school starts back up in September! So I'm hoping to have as many reviews as possible written and ready to publish, to make keeping the blog going between assignments easier. 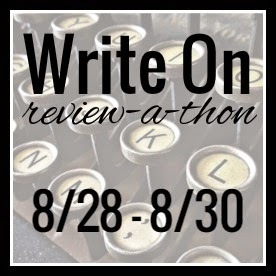 Hence, a review-a-thon! I'd list more, but I'm a bridesmaid in a wedding that Friday (yay! ), so that's one day totally out for this challenge. Also, I might change this list a bit if I review some of them before the challenge starts, but my goal will remain writing four reviews.